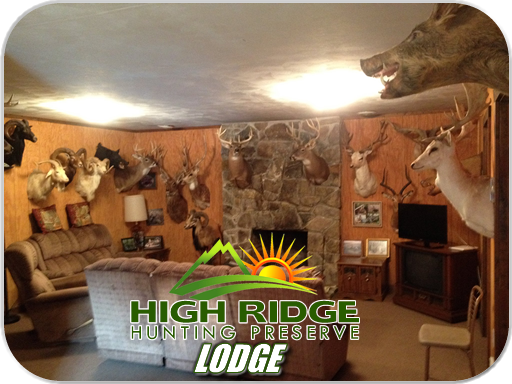 Whether you're a single hunter looking for simple overnight lodging or a group of hunters looking for a hunting retreat, High Ridge offers on-site accommodations to meet your needs. 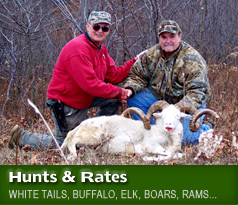 We offer lodging for up to 17 outdoorsman. 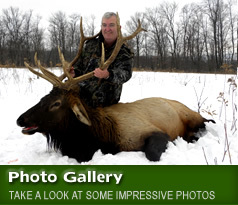 High Ridge lodge has a kitchen, dining room, common area, two bathrooms, and three bedrooms boasting plenty of room for bunks and hunters. 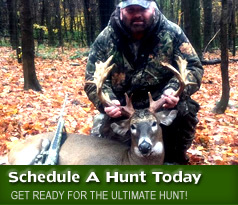 In addition, our grounds offer plenty of room for sighting in your guns and bows to make sure you hit that trophy animal. Our rates include homemade breakfast, lunch, beverages, and snacks at $40.00 per night per person.